For those who will be bringing in the New Year at a good old fashion party, you will undoubtedly have the pleasure of dancing to the legendary entertainer, Marvin Gaye, delivering his monumental soul classic ‘Got to Give It Up’. At any rate, whenever you think about the words to this party anthem there is a clear message to dance, however, the title easily transcends to obtaining renewed vigor and providing justice toward ‘self’. This means making a resolution to give up something that you know is hurting you. A reason for giving up the common sweet poison of sugar includes taking seriously the results from numerous studies that directly link artificial sweeteners to be a cause for specific cancers. Such as the chemical cyclamate, in combination with saccharin, causes bladder cancer in laboratory rats and other animals. Processed sugar is actually no more than an artificial chemical sweetener itself by being a substitute for nature’s fruit, which is the real sweetener we need. Just like all artificial sweeteners, processed sugar has NO nutritional value, and tricks the body into thinking it is eating something wonderfully sweet, but is in fact producing harmful toxic side effects. Take into account, the U.S. Food and Drug Administration is deficient in product approval, in particular Splenda. Splenda is the trade name for sucralose; a synthetic compound stumbled upon in 1976 by scientists in Britain seeking a new pesticide formulation. Possible triggers for migraine headaches have been associated with ingesting sucralose, as well as adverse reactions including skin rashes/flushing, panic-like agitation, dizziness and numbness, diarrhea, swelling, muscle aches, headaches, intestinal cramping, bladder issues, and stomach pain. Whenever you eat processed sugar it stimulates the release of dopamine into the brain, which makes you feel pleasure and craving more. This means that processed sugar is a substance that shares the same receptors in your brain as if you were taking drugs like heroin or morphine, where now the song title has more of a literal interpretation; You Got to Give It Up! In 2012, you got to give it up by eliminating those packaged goods containing high amounts of added sugars, which consists of everything from tomato sauces, salad dressings, ketchups to peanut butter. 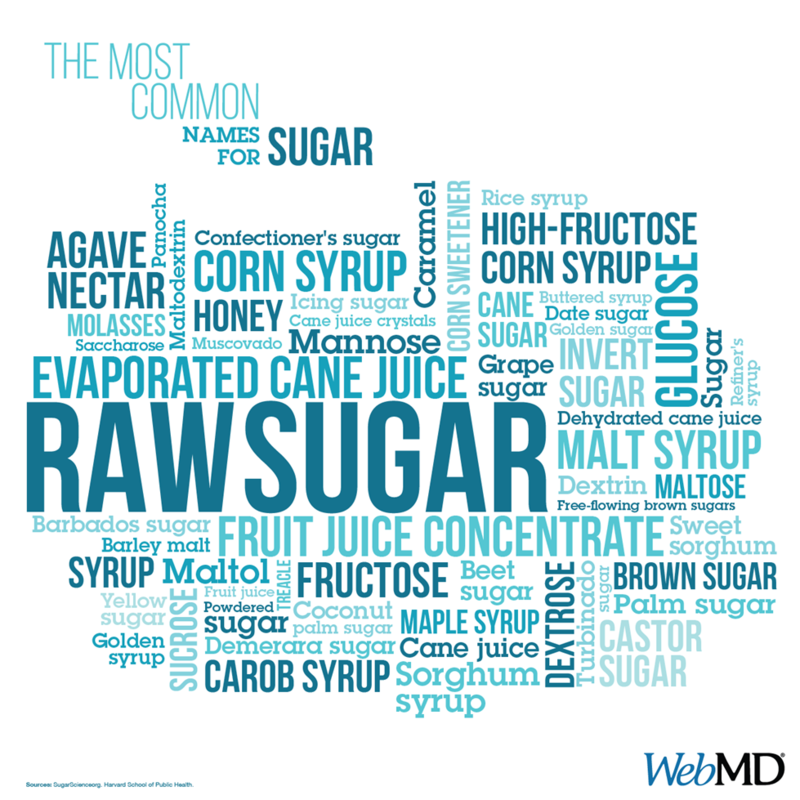 Check the labels for Fructose, Maltose, Sorbitol, Evaporated cane juice, Syrups, Xylotol, and Sugars ending in “ol” or “ose”. Be especially suspicious of those products labeled as low fat, as they often contain more processed sugar to make them taste better. Ask yourself; is it worth it consuming sugary-filled items all the time? Such as, eating it in your car, workplace, home, theaters, parties, sporting events, etc. is too much. It is not a comfort food, but a highly intense manufactured chemical that is a health hazard for anybody, where ‘You Got to Give It Up!